Closing and winterizing your pool is important to protect it from damage due to freezing water and to keep it primed and ready for the following summer. Just like seasonal openings, seasonal pool closures must be done the right way at the right time to ensure the longevity of your swimming pool. Save time and avoid any surprises during your spring pool opening, by calling our experts to winterize your pool! Please have the winter pool cover, water bags, accessories and plugs ready for your scheduled closing. On the day of your pool closure, please ensure outdoor power is available and your backyard is unlocked and accessible for our maintenance crew. Many pool owners don’t want to keep their pools open when they aren’t likely to go swimming. At Selleck Pools Inc., we know that efficiency is important and we see the value in saving time and money by closing your pool when it’s not in use. 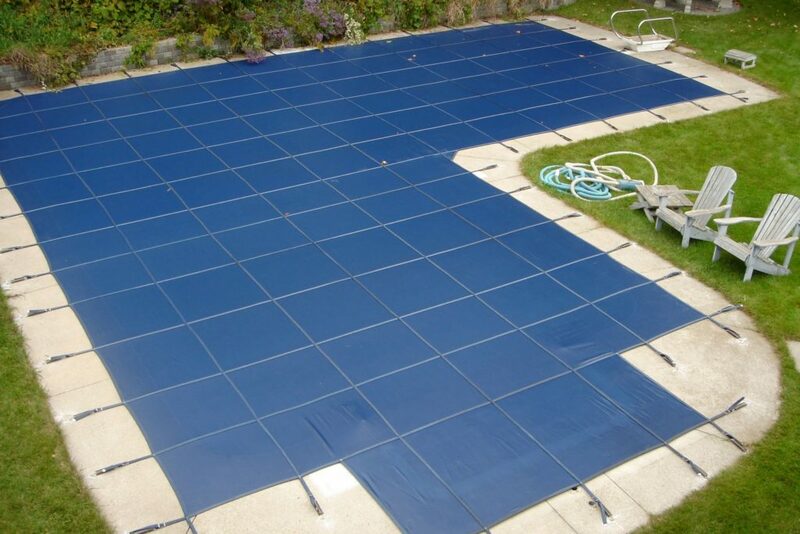 While we specialize in winterizing pools, we offer pool closures year-round. Do you have an indoor pool you’d like to close for a few months to cut costs? Do you need to close your outdoor pool mid-summer? Contact us today for a affordable and efficient pool closure no matter the reason or the season. An improperly closed pool can lead to expensive repairs. To ensure your pool makes it through another harsh Canadian winter undamaged, depend on the professionals at Selleck Pools Inc. to properly close your pool. Call 416-724-8649 or fill out our online contact form to book today!